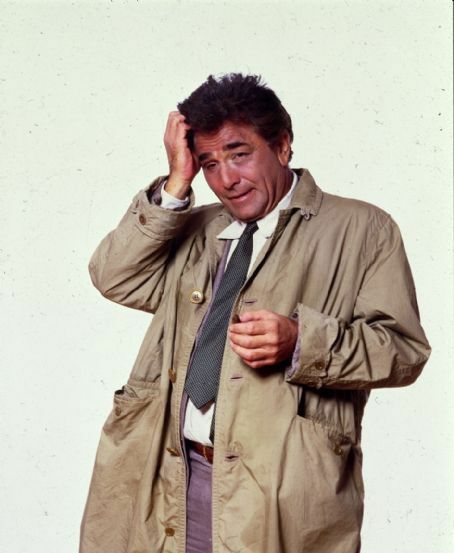 Conspicuously missing from the above is Levinson and Link’s most famous detective show–the long-running, much-parodied, and very well-known Murder, She Wrote (1984-1996), which they co-created with Columbo writer Peter S. Fischer. Starring stage and screen actress Angela Lansbury, excellent in just about everything she has ever done, Murder, She Wrote is what more than one critic has disparagingly called “a grandma show.” Perhaps the nomenclature is not entirely inappropriate: it’s a program about a middle-aged mystery writer, Jessica Fletcher (Lansbury), who ends up solving real-life murders wherever she goes. 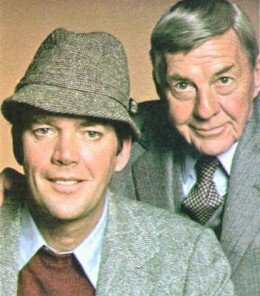 Levinson and Link obviously based the concept on Ellery Queen, as Ellery is also a mystery writer who goes around solving real-life mysteries, though EQ always had more verisimilitude in this respect, as his father was a police inspector, whereas Mrs. Fletcher is a total amateur! N.B. : Caveat lector. 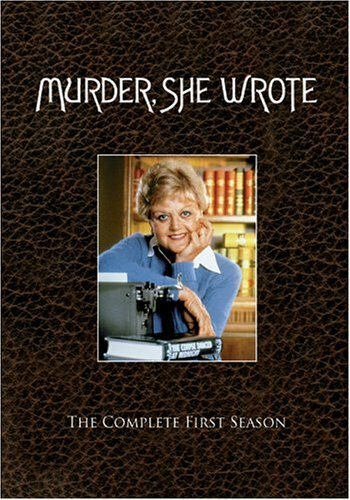 I have not seen all Murder, She Wrote episodes and, in fact, have no desire to do so. It was a long running show, and I do have better things to do with my time. So the reader may have his own favorites that I haven’t yet seen; these are just the best, in my opinion, of what I have seen thus far. Also, MSW fans should remember that I am judging on mystery-related criteria, as this is a mystery blog. OK? Good? Let’s proceed. *”We’re Off to Kill the Wizard,” directed by Walter Grauman, written by Peter S. Fischer and Gerald K. Siegal–Season 1, Episode 7: Absolutely the show’s first classic, and one of its best. It’s a locked-room mystery, endearing itself to mystery buffs already, with a very unlikeable suspect in theme park owner James Coco. While the identity of the killer is easy to guess, the locked-room is a humdinger, though the same application previously appeared in Christianna Brand’s “Murder Game” (a.k.a. “The Gemminy Cricket Case,” 1968), and something like it was, I believe, mentioned in Dr. Fell’s locked-room lecture. No matter. It’s an ingenious and eminently believable locked room puzzle, equally ingeniously unravelled by Mrs. Fletcher. A good, solid job. *”Murder Takes the Bus,” directed by Walter Grauman, written by Mary Ann Kasica and Michael Scheff–Season 1, Episode 18: A delight of an episode, despite the awful and cliched title, and probably the highlight of the series, mystery-wise. If Mrs. F were like this all the time, there’d be no reason to carp, for she brilliantly unravels the tangled skein behind the murder of a bus passenger, possibly by the driver, and uncovers the truth with the (limited) help of Sheriff Tupper (“out of my jurisdiction,” indeed!) as well as of several clues (of which, unfortunately, this show generally tends to have a dearth). The (SPOILER) double bluff (END SPOILER), while old hat to mystery fans, is brilliantly used and shows once again why this Christiean gimmick is so good. Even better is the supporting cast of suspects, including Insp. Queen himself, David Wayne, and the multiple solutions they draw up against themselves–someone has obviously been reading either Ellery Queen or Christianna Brand! *”Trial by Error,” directed by Seymour Robbie, written by Paul Savage and Scott Shepherd–Season 2, Episode 13: Wow! I wrote “…the highlight of the series, mystery-wise” for “Murder Takes the Bus” because that episode seemed like an otherwise typical MSW episode. “Trial by Error,” on the other hand, is so different that I would be completely unsurprised if it were written for another show and the writers just shoehorned Mrs. F in for this one. It’s a Twelve Angry Men parody, with Jessica Fletcher as the foreman (or forewoman) of a jury hearing the case of a man who claims he shot his lover’s husband in self-defense. Brilliantly done, with flashbacks within flashbacks, and a jaw-dropping revelation, excelling Agatha Christie (“Witness for the Prosecution”) at her own game by using her twist, bettering it, and then throwing another twist on top of it. 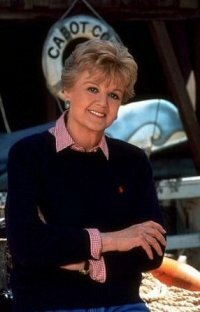 The solution is deduced using psychological and verbal clues, though the format is far from “detective-story-like.” It says much for Jessica Fletcher that she can solve this imbroglio, with its Chinese boxes within Chinese boxes. Brava. *”Snow White, Blood Red,” directed by Vincent McEveety, written by Peter S. Fischer, Season 5, Episode 4: Not quite up to the level of the above three, as it breaks no new ground but rather goes through the old Agatha Christie device of isolating suspects in a remote location and then killing someone off (shocker), but it’s a fun episode, with–in a change of pace from most MSW episodes–some clues pointing to the killer! A blessing for which we may be very thankful in this program. *”The Legend of Borbey House,” directed by Walter Grauman, written by Danna Doyle and Debbie Smith, Season 10, Episode 3: Another fun one, involving another (SPOILER) secret passage (SPOILER ENDS). Why couldn’t MSW have more apparently supernatural culprits? Either way, fun take on the haunted house/vampire mythos. *”The Grand Old Lady,” directed by Vincent McEveety, written by Peter S. Fischer, Season 6, Episode 3: “Unfair?” you say. Yes, probably. This is a “bookend episode,” one of those cooked up by the producers so that Lansbury didn’t have to appear all season and yet still manage to complete the terms of her contract. So she appears at the beginning to introduce the story and at the end to wrap it up, but the rest of the case is aboard the Queen Mary in the 40s, and what a delightful trip it is too. Not only has Fischer returned us to Ellery Queen‘s authentic, convincing 40s atmosphere, he has also given us two clones of Queen and his father, respectively, in Christy McGinn (Gary Kroeger) and his father, Lt. Martin McGinn (John Karlen). While Kroeger and Karlen are nowhere near as immediately lovable and do not have the same unique chemistry as Jim Hutton and David Wayne, they are more than serviceable, and Christy is a fun Ellery doppelgänger. There are war secrets, clues based on the German language, and a scenery-chewing performance from Robert Vaughn as the Simon Brimmer-duplicate, Edwin Chancellor (great name). In addition, this is a case for three detective, as we have Chancellor, Agatha Christie expy Lady Abigail Austin (June Havoc), and Christy McGinn all giving us alternate solutions, each of which builds on the one before, in the manner of Ellery Queen’s brilliant The Greek Coffin Mystery. If the final solution is not as immediately ingenious as the deduction, so be it–it is fine time that we see this kind of deduction back on TV. The solutions are wonderful, and the identity of the killer is deducible and clever. Probably the best of all Murder, She Wrote episodes, as Fischer has obviously resurrected the ghost of Ellery Queen. All the more unfortunate for this being Christy McGinn’s first, last, and only appearance. McGinn, we hardly knew ya. 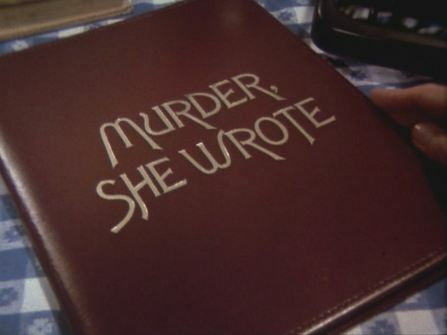 So, there are some of the best Murder, She Wrote episodes! What say you? MSW fans, I apologize for criticizing your beloved show so harshly, but, as you see, there are many episodes that I very much enjoyed. So I ask all of you out there: what are some other great episodes that you think I would like, with good puzzle plots, mysteries, and surprise solutions? Please do comment below, and thank you for reading! This entry was posted in Capsule Reviews, Musings, Reviews, TV and tagged Agatha Christie, Columbo, Ellery Queen, Impossible Crime, John Dickson Carr, Murder She Wrote, Musings, TV, Whodunit. Bookmark the permalink.